The book analyzes the presidencies of three neighboring Central European countries – Poland, the Czech Republic and Slovakia – in the context of their interactions with cabinets (and prime ministers), parliaments and the constitutional courts, all which have proved crucial actors in the region’s political and constitutional battles. 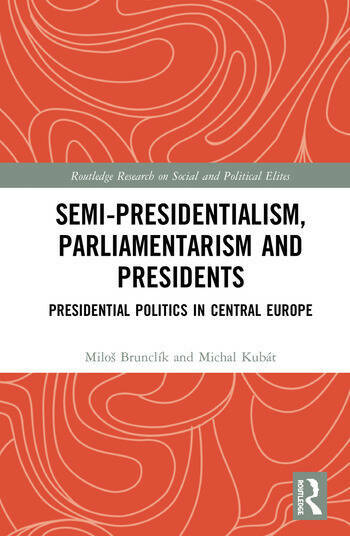 Using both institutional and behavioral perspectives along with an innovative definition of semi-presidentialism, the book argues that presidential powers – rather than the mode of the election of the president – are crucial to the functioning of the regimes and their classification into distinctive regime types. Focusing on intra-executive conflicts and the interaction of the president with other constitutional players it argues that, regardless of the mode of the election of the president, regimes have traditionally been very similar not only in their institutional settings, but also in the way they function. Finally, it shows that Poland, the Czech Republic and Slovakia should be classified as parliamentary regimes. This text will be of key interest to scholars and students of Central and East Europe studies/politics, post-Communist studies, presidential studies and more broadly to political elites and institutions, comparative politics and legislative studies. Miloš Brunclík is Assistant Professor at the Institute of Political Studies, Charles University, Prague, Czech Republic.